MOVE IN READY 2BEDROOM/1BATHROOM WITH 1 CARPORT. Walk into the vaulted ceiling great room open to eating area in the kitchen and inside laundry. Freshly painted interior. Exterior is a private paradise with paved patio area and a shed. 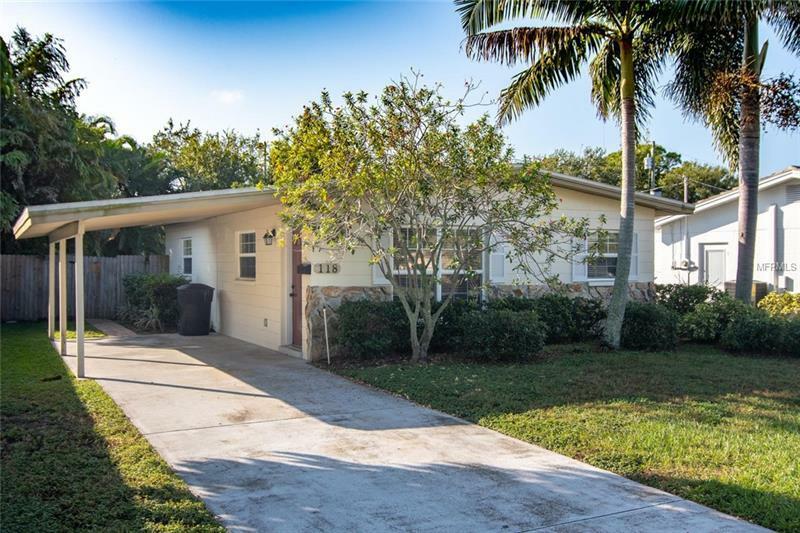 This home is located between the 4th Street and Martin Luther King St. corridors providing quick access to downtown St Petersburg, Tampa and 275. All the amenities of Fossil Park are close by--community pool, picnic area, library, special programs for all ages, skate park and ball park for Little League. Grocery shopping, restaurants, medical offices, Target, Office Depot, and other shopping are a short distance away.Come see this home today before it is gone!